Have the wedding reception everyone will remember by booking The Innocence band today! The Innocence specializes in wedding receptions, and can make your special day a smashing success! With unsurpassed sound quality and a wide variety of great party songs, your reception will be the talk of parties for years to come. Hiring just the right band can be one of the most important decisions you make when planning your event. Having your own personalized performance, adapted live for your event, makes all the difference. Let The Innocence custom tailor an enjoyable musical and dancing experience for you and your guests. 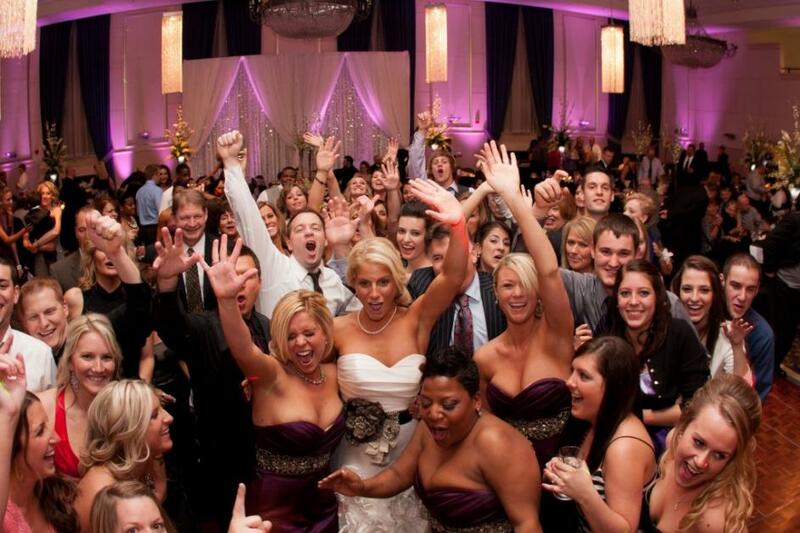 The Innocence has a proven 10 year history of over 100 wedding reception performances. Think of the great memories that will be created at your special event by a quality band like The Innocence! The true VALUE of hiring The Innocence is the full DJ and Emcee service that is included as well. While your guests are arriving and eating, dinner music is provided at no extra charge. Then as we play, we keep the party going with an endless catalog of DJ music. This is great for bouquet/garter tosses, dollar dances, and for keeping that energy up! Please feel free to listen to music samples, and read some of the Reviews from our many satisfied Brides and clients! Find even more reviews on our page on TheKnot! DON’T HESITATE! Book The Innocence today!